I heard a rumor... it's about a black box that contains all the weird and wonderful things in the world. There's nothing that the box can not do. It can grant you any wish in the world. Such a profound, mysterious story. Almost all rumors are basically like this, whether it's true or not, is not important. As long as the story is interesting, everything is fine. 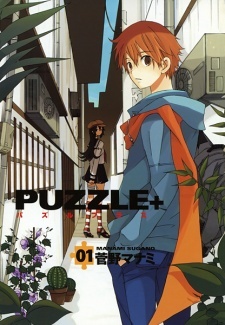 Thus, the story begins, with a high school boy, a black box, and a mysterious girl.